On October 10, the FDA announced that the ICU Medical ConMed Stat2 Flow Controller is recalled because it was assembled with the wrong internal component. In light of this news, AttorneyOne, a recognized authority on law, updated the website providing detailed information to consumers. AttorneyOne.com, a recognized authority on law, updates the website daily regarding all the latest information from the FDA on Stat2 Flow Controller. The FDA announced on October 10 that the ICU Medical ConMed Stat2 Flow Controller is recalled because it was assembled with the wrong internal component and it may deliver fluid at a much higher flow rate than what is set. 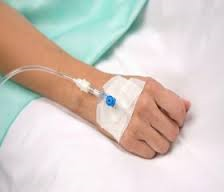 IV administration sets are used for the delivery or removal of fluids from the body; a flow controller controls the amount of fluid delivered. The affected item numbers are: 011-C9801, 011-C9802, AH7007, B9897, Z2648 and affected lot numbers are: 2768416, 2768417, 2758229, 2785379, 2801951, 34-128-HE, 34-540-Y1, 35-151-SJ, 35-805-JW, 36-137-SL, 36-469-SL. Their manufacture dates were from October, 2013 to January, 2014 and their distribution dates from October 2013 to January 2014. The FDA classified this recall as Class I, meaning use of the products included in the recall may cause serious injuries or death. AttorneyOne.com has further information on Stat2 Flow Controller at the website including the latest major drug, food, and medical products law news.